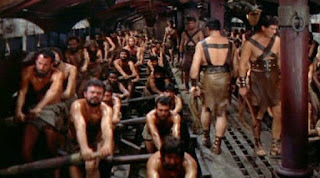 I've been rowing again. It's been a while, honestly. I've been sporadic for the last year...even more sporadic for the year before that. But I decided it was time to get with it again in mid-April ahead of the new rowing season that started May 1 (more on that in a minute). 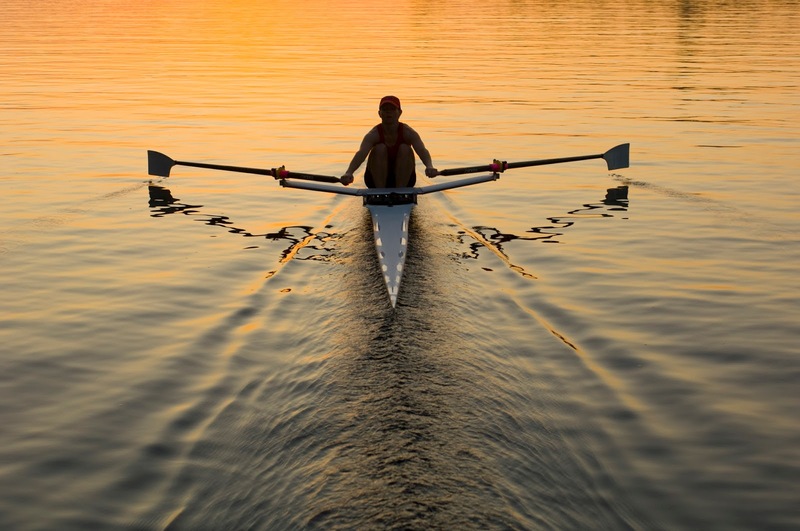 I've always loved boats and water and such, and I really enjoy rowing. Picture it in your mind. Did you come up with something like this? I'm definitely that thin and look that graceful. So I have a rowing machine in my basement, and I log my distance and time in an online logbook run by the company that manufactured my rowing machine. They start a new season every May, so every year I set a goal for myself. This year's goal is to average 10,000 meters per day for the year. It takes me 40-45 minutes to row 10k. 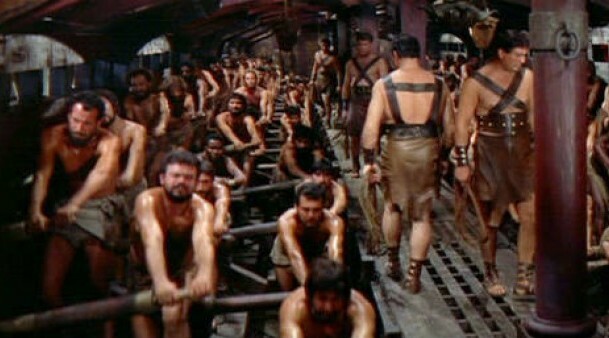 So it's a lot of rowing is what I'm saying. 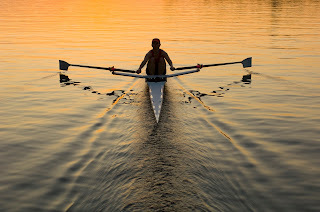 Of course it doesn't take as long to row if you row faster, and I've decided that part of my goal this year will be to improve my speed. I'm following a fairly convoluted plan to get faster over time while maintaining relatively long rows every day. I will happily explain this plan to you in full detail under the magnolia tree if you'd like to take a nap one day. I've found one of the most important keys to success is pushing myself just beyond my perceived limit. This morning, I set my performance goal, and within the first 10 minutes decided there was no way I was going to make it. "Self," I said to myself, "you can't possibly do this for 60 minutes. So just do it for the first 15 minutes and then slack off. We'll slay this dragon tomorrow." 15 minutes passed. "Self," I said to myself again, "You made it 15 minutes. Just go 5 more before you slack off." [Editor's note: Yes, John really does talk to himself out loud while rowing. Sometimes he shouts at himself loudly, sometimes using profanity. Is that normal?] By 30 minutes into the workout, my body was convinced it was going to die. "No problem, self. Just 5 more minutes." It was just like my super-annoying swimming teachers that said I only had to swim to them and then kept moving backwards. I've never forgiven them. Sometimes I really do yell at myself like this coach. It's like in that Rudyard Kipling poem, "If." except the Will which says to them, "Hold on!" 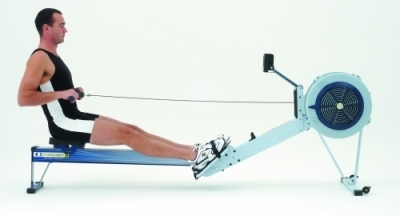 If you can do that...then the next time you sit down to row, it will be a little easier. It doesn't happen if you always give up. Your body learns and adjusts to what you require of it. If you require more, it will deliver more. If you require less, it will deliver less. This morning during my cool-down, maybe a little too satisfied with myself for reaching my goal, I was thinking about the discipline required to push beyond our perceived limits. No doubt it's physical discipline. But, like in that video above or in the Kipling quote, it's just as much or even more mental discipline. That's when my mind really started a-wandering. Jesus said we are supposed to forgive people who wrong us seventy times seven times. That's super-Jesus-y code for never stop forgiving. We are supposed to love. We are supposed to be peacemakers. I'm sorry, Jesus, but it's hard to forgive and love and make peace. Have you ever been listening to someone tell you something that made you so angry you could feel it in your gut? Sometimes it's like I feel my stomach twisting itself into a pretzel. My throat starts to constrict. If I'm really angry I'll start to shake. I'd say it's fight or flight, but it feels like my body has already decided it's going to be fight this time around. Forcing my heart and nerve and sinew to serve my turn in that moment isn't about rowing a little harder for a little longer. It's about holding on to the animal I live in. It's pushing myself to forgive just one more time--to have grace just one more time. It's getting past this hump, or the next. The struggle is real, and it will never end. We will be forever trying to convince our body to do our bidding. Sometimes it will, and sometimes it won't. But if you require more, your body will deliver more. It's all heart! If I force myself to forgive, even when it is hard--especially when it is hard--it will be slightly easier the next time around.